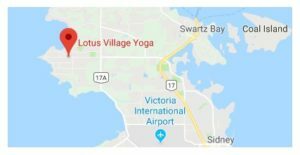 Join us at Lotus Village Yoga on the weekends for some awesome classes and commitment to your practice. Read on to see which classes would be best for your schedule and your life. Traditional Hatha Yoga practice to begin focusing on alignment and sitting in the pose, to invite opening. With a combined shorter flow class, flowing from pose to pose- great way to get a physical moving practice and start the weekend with some energy. Flow series will be accessible to all students. Invite relaxation at the end of the session. A workout and traditional teachings all in one session! Men’s Yoga – Specifically designed for men, this versatile yoga class is perfect for men who are just starting their practice or continuing from the beginners classes from the summer. Focus on back care and core strength; hips, legs & feet; and neck and shoulders to build strength, flexibility and energy. Mom’s Yoga – This class is for ‘new’ moms looking to get some time to focus on themselves and their post-pregnancy bodies whether their babies are 1 month or 3 years. Focus on yoga poses to help with pelvic floor strengthening, core rebuilding, arm/shoulder strain, and other stresses afflicting the hard working bodies of moms. Bring a friend or come on your own to get some well-deserved ‘me-time’! Parent/Teen (12-18) Yoga – Spend an hour connecting with your teen through some fun partner yoga poses while incorporating basic mindfulness practices that will have a positive impact on your relationship and your ability to manage stress and anxiety. Buddy Yoga – Bring your spouse, friend, family member and have fun practising a variety of partner yoga poses together! This yoga hour is sure to bring some laughs as you enjoy a healthy activity with your buddy.